Officers for 1916. Mrs. Mary English, President Miss Mary Parkhurst, Vice. President Mrs. Effie Parsons, Treasurer. Mrs. Maude Marshall, Secretary. Mrs. Katherine Granger, Cor. Secretary. Mrs. Willer, Press Reporter. 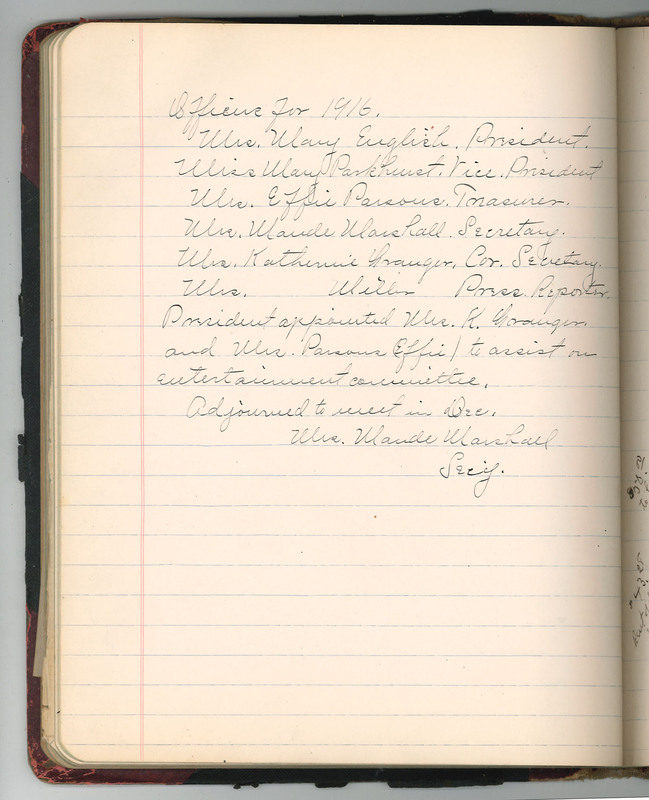 President appointed Mrs. K. Granger, and Mrs. Parsons (Effie) to assist on entertainment committee. Adjourned to meet in Dec. Mrs. Maude Marshall Secy.